At Askme Technologies, we offer you a wide and complete range of world-class professionals with wide industry-specific experience and rich expertise. Our skilled resources can work like full-time employees for you, operating from our premises. We excel in creating unique websites and other web applications with impressive features and further ensure high traffic to your online ventures with smart and efficient search engine marketing strategies. From dedicated web developers to Google certified Search engine marketing specialist, you can greatly benefit from our full-time staff augmentation services. Our dedicated developers are specialists in PHP and other Open Source applications such as JOOMLA, MAGENTO, X-CART and Larval & OsCommerce. PHP programmers at Askme Technologies are well experienced in creating well-designed, innovative web applications, within your time & budget. With Askme Technologies, Hiring dedicated PHP programmers & developers is always an best choice for any client. At Askme Technologies we are acquainted with leading industry CakePHP developers who have years of experience working with CakePHP. Our integral system of development provides the right skill set of that help in development of CakePHP applications in most authentic manner. Askme Technologies is one of the leading companies that provide OpenCart web development servicesin India. Our OpenCart development team is having an array of experts experienced in creating unmatchable solutions that are a perfect match to your specific requirements. Our expert WordPress developers have years of experience in developing feature-rich and efficient CMS websites for clients spread globally. We have a team of expert WordPress designers and developers, who have a total command over WordPress themes and designs, and can transform your website with them. Our Magento developers work extensively on your project and help you to create an online store that ensures reliability, usability and business growth. Our team comprises of professionals having knowledge of various programming languages that include Core PHP, PHP Zend Framework, MySQL, HTML5, CSS3, JQuery and etc. Looking to hire Laravel developer for your project, We at Askme Technologies, One of the renowned Laravel development companies provides Laravel design and development services for startups, small, medium and large businesses. We follow a monthly-contract policy and the payments are to be made by the clients at the beginning of every month. The Intellectual Copyrights of the work done by our developers, designers or copy writers are fully transferable to the clients. 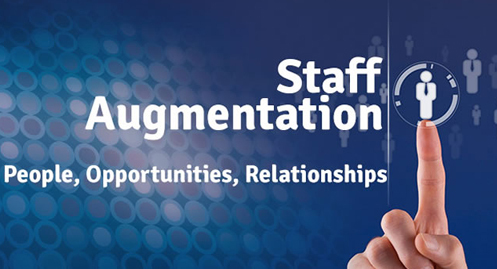 Accountability is the key for staff augmentation. Askme Technologies ensures seamless communication through video chat and IMs with your dedicated developer & other staff who would work exclusively on your projects. The client can hire a developer or other staff for trial for a week to assess the skills & the quality of work done by him before signing the contract. A strict security policy is adhered to through a Non-disclosure agreement, to make sure that all your data and information are accessed in a secure environment. Your project would be allotted a Technical Project Manager who would ensure a streamlined flow of project process. In case of any technical queries, the Technical Project Manager would be consulted. If the client experiences any kind of performance issues, then Askme Technologies provides Developer replacement, given that a notification for the same is given well in advance. We follow the practice of using a demo server for all our projects, the developer uploads the work done by him on the demo server. Once this work is approved by the client, then it is ready to be uploaded on the live-site. Our Developer are well qualified and possess excellent English speaking skills. All of them have a great command on the English language which makes it easier and convenient to understand and handle your work projects. Exclusive managers are appointed by Askme Technologies who manage all your work accounts and ensure regular support and feedback of your work progress. They also take a note of your special instructions and expectations and ensure that they are handled in the most apt manner possible. Our dedicated developers and other professionals submit their daily/weekly work report to the clients as per their requirement and specifications. Our team is experienced in working Agile Scrum/Kanban Methodologies. Client can track the work daily basis for particular sprint in Jira. All developers are well trained on agile methodology.